My heritage is a very important part of who I am today. My friend Shulie from Food Wanderings started a cool series that is all about Baking with Heritage. She asked if I would like to bake something Italian or Hungarian to share with her readers. I chose these fun chocolate rolls (kakaós csiga). My childhood was just as influenced by my Hungarian born mother as it was by my Sicilian father. My mother’s aunt (Mariskaneni)was like our grandmother. She lived next door to us and is even the reason why I was inspired to start my baking blog. I was known as Lorika (that’s Lora in Hungarian). Mariskaneni baked all the time. If you have been wanting to explore your family’s heritage through food and do not have any old recipes around, there is so much you can find online! You can find recipes that maybe your grandmother or great-aunt used to make. If the recipe isn’t exactly to your taste, go ahead and adjust it. I think it’s wonderful to keep food traditions alive and to pass them on to our children and maybe one day even, our grandchildren. If you are lucky to have grandparents still alive, ask them about their food traditions. I haven’t met a relative of mine that doesn’t love to talk about food. Kakaós csiga is a pretty popular chocolate roll in Hungary. I even found a Hungarian blog that has a couple hundred chocolate snail reviews in it. I talk a little more about the history and method to make these delicious rolls on my post for Shulie. I have been a huge fan of Shulie’s delicious recipes for a long time. She was one of the first friends I found through my blog. Always supportive and inspirational with her creative posts. Shulie’s blog is truly all about “food wanderings”. If you have some free time, you should look around at some of her delicious recipes. When I think about Shulie’s blog and what are some of my favorites, there are a few recipes that immediately come to mind. For example, her Indian Shakshuka looks out of this world delicious! I always am inspired to cook more Indian when I see easy recipes like this Indian Potato and Cauliflower Curry. A very fall recipe I can’t wait to make is her Chocolate Cardamom Plums Clafoutis. 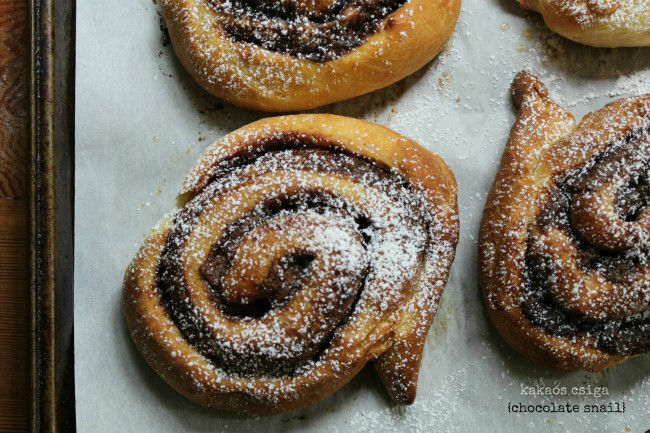 Hop on over to Shulie’s blog to say Hello and see my chocolate rolls (kakaós csiga)! Wonderful! These are the kind of blog posts I love to read the most, where stories about the personal history with the recipe are shared. You are so fortunate, Lora, to have such a rich heritage in your family. Beautiful rolls, I love the chocolate filling. It's so much fun to read about family recipes. Headed to your guest post now :). I love family recipes and stories, always fun. Good lookin roles. These look heavenly! I love how close you are to your heritage, and what an active roll is plays in your life! My absolute favourite… and from a fellow Hungarian to another,nagyon finom! Food traditions handed down from one generation to the next are the best. Nothing reminds me of my mom or my childhood more than certain dishes. I love that you have such a rich family history, Lora. 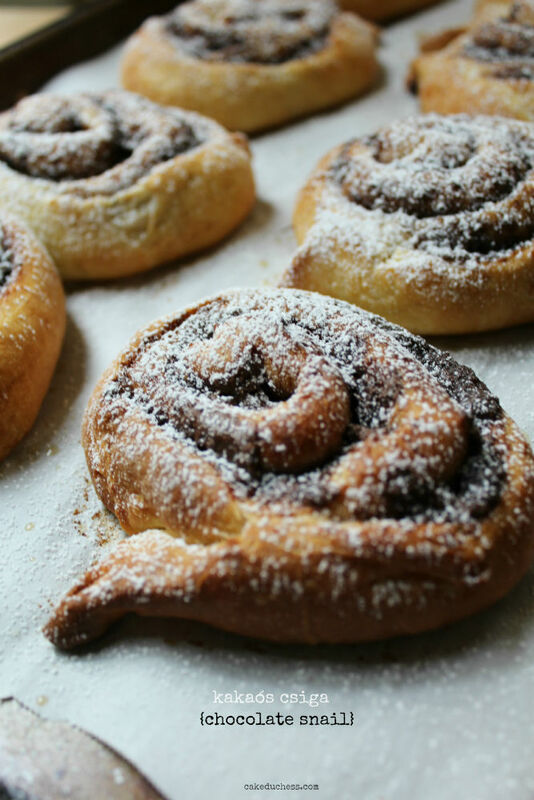 These chocolate rolls look incredible and I'm going to pop over to Shulie's blog now to read your guest post. I've been following Shulie's Instagram feed for a long time now and I was thrilled to meet her at IFBC. She's just as sweet, warm and wonderful as her blog suggests. I love this post Lora! I enjoyed learning about your Hungarian side of the family and the yummy food they have inspired you to make here. I love the idea that Shulie has come up with sharing our food heritage. And these rolls have me really wanting to make some. I would like to congratulate you for your great blog. I invite you to come to my blog: http://letortedidebora.blogspot.com a surprise for you waiting for you. Oh, but i do love the heritage recipes. 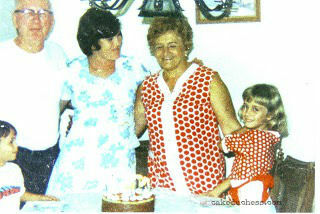 When I make my grandmother's crostoli, I really am transported across the generations. I always love it when I come across old recipes. They are real treasures, and these are no exception. They look great! Thanks! This is my first visit to your site, and i am so glad I stopped by.